Here's the best places to land to find loot chests in Fortnite Battle Royale. In Fortnite Battle Royale, finding chests can sometimes determine your odds of earning a Victory Royale. Loot chests are scattered all over the map and contain valuable loot, such as weapons or crafting materials. Chests can be difficult to find, unless you know where to look. Sometimes you can even find multiple chests in a single location. This guide will explain the best areas to look for loot chests and where to land in Fortnite Battle Royale. Search High and Low - Chests in Fortnite are usually hidden behind walls inside attics or basements of buildings. When you come across an un-looted building in Battle Royale, be sure to search from top to bottom for any chests, weapons, or loot. Look for Wall Cracks - As we mentioned, chests are often hidden behind walls in Fortnite. However, some walls have small cracks in them, indicating that something may be hidden behind it. Use your pickaxe to mine and destroy any cracked walls to uncover hidden rooms and passages. Listen Carefully - Chests in Fortnite tend to make a faint ‘twinkling’ sound and give off a slight glow. 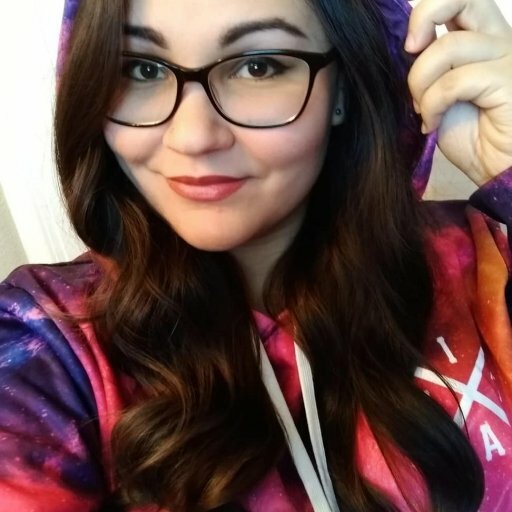 When you enter a building, listen carefully for the sound of chests and try to track them down before other players do. The noise will grow louder whenever you look towards the chest's direction. To the southwest of Pleasant Park is a multi-level house surrounded by a circle of trees, which is easy to spot on the minimap. This house typically contains a few chests, along with some weapons and resources. The best way to get to this house is by landing on it from the Battle Bus using your glider. Alternatively, if you end up at Pleasant Park, just start heading southwest and look for a house encircled by trees. Search the attic first, as there are usually a couple chests here. Afterward, head downstairs and look for a crack in the wall behind the staircase. Break down the wall with your pickaxe to reveal a secret room, which usually contains another loot chest. Since the Season 5 update, Pleasant Park itself is usually fairly quiet, meaning you can choose to drop to the main town if you'd like, just be prepared to fight one or two other players when you do so. 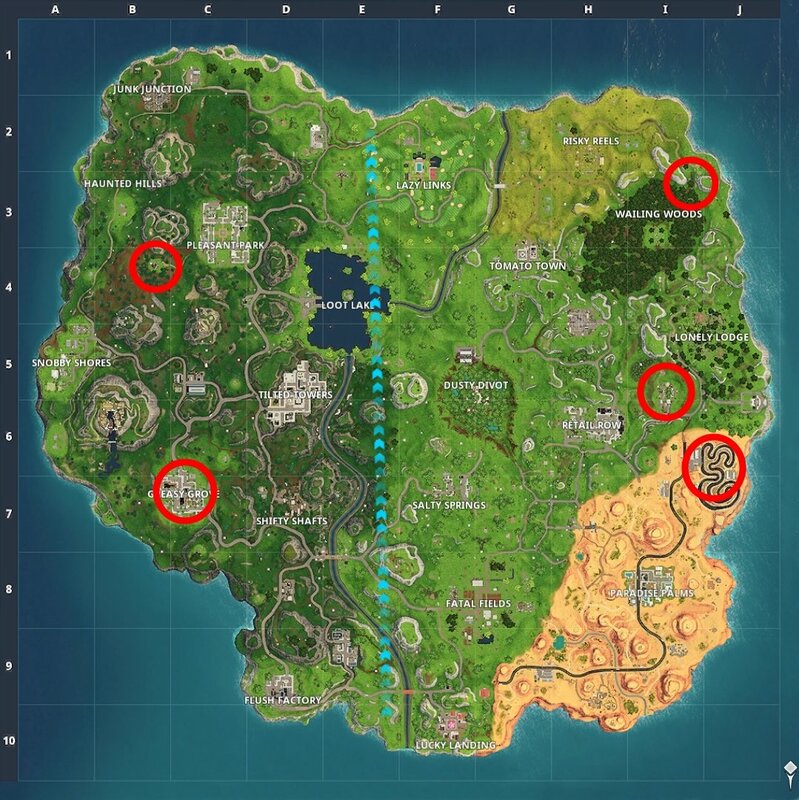 Northeast of Wailing Woods near the edge of the map is a tall tower overlooking the water. Drop from the Battle Bus as closely as you can to the tower. If you’re lucky, you might be able to land at the top, where the best loot is typically located. 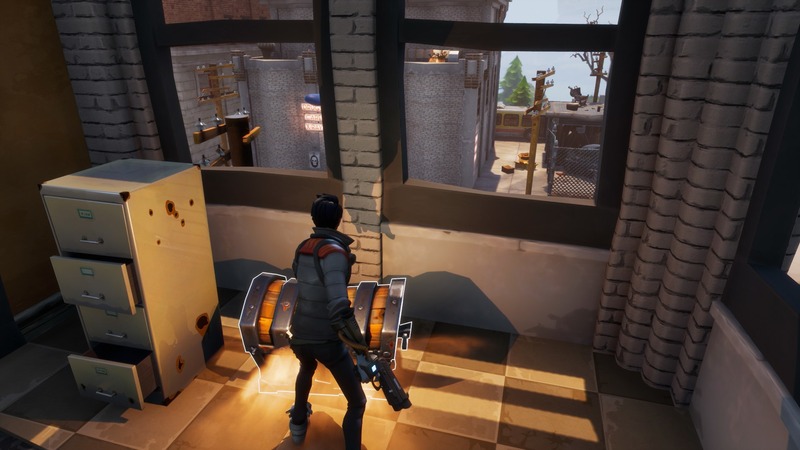 Break through the roof to reveal a hidden loot chest at the very top of the tower, or make your way up by building a ramp if you started at the bottom. If there’s no chest, be sure to search the upper area for Legendary or Epic weapons instead. Check the other rooms in the building, and make sure to listen for that twinkling sound we mentioned earlier. Behind a set of stairs on the second floor, there should be a chest hidden in a secret area behind the wall. In Fortnite Battle Royale, there’s a yard to the east that contains a barn full of loot. This location is the small fenced-in plot of buildings on the east side of the map, just east of Retail Rowe and southwest of the Lonely Lodge. The main building of this lot is a big red barn, which is where you’ll have the best chances of finding multiple chests and loot. There’s no entrance, so you’ll have to break your way into the barn using your pickaxe. Make your way to the rooftop either by gliding onto it from the Battle Bus or by building a ramp from the ground level. Swing your pickaxe to bust through the roof and loot the goodies in the upper floor. Be sure to search the area for other weapons and resources as well. Added in the Season 5 map rework, this new racetrack is well worth a visit as one of the most fun environments on the map. There's not a whole lot to loot here besides the two sets of buildings (which usually contain a couple of chests each), but it's worth at least one visit just to enjoy the track itself and the bouncy tyre tracks along it which make for some pretty entertaining fights. 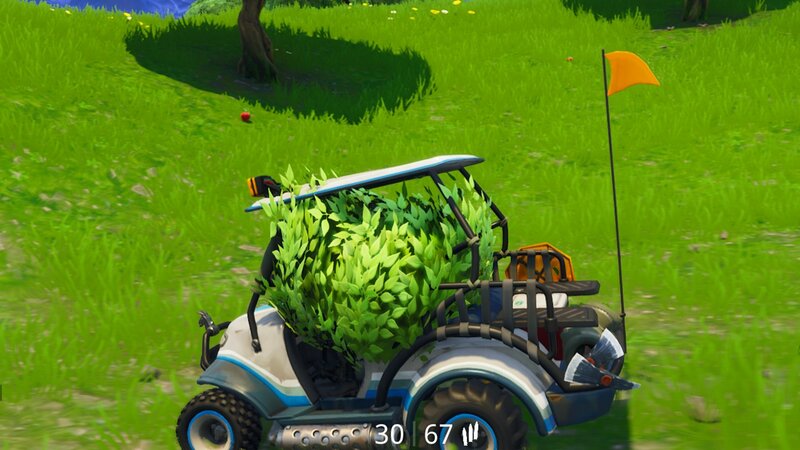 If you can get one of the new golf cart vehicles there too - even better! In Greasy Grove, there’s a large building with a dark rooftop that typically contains multiple chests. Considering it’s in a city center, you’ll need to approach with caution in case other players beat you to the location. If you act fast, you should be able to land at this building straight from the Battle Bus. In the main area of the building, there is an old armory counter labeled with “Guns” on the back wall. There should be at least one loot chest behind the counter. On the west side of the building, mine through the floor in the smaller room to discover a hidden room containing more chests. Now that you know where to find the best chest loot locations in Fortnite Battle Royale, you should be one step closer to achieving victory.